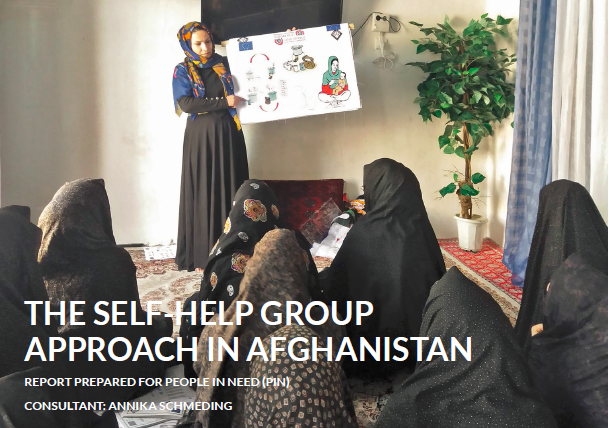 This report offers an overview of how the Self-Help Group (SHG) approach has been used in the Afghan urban context, with a focus on its three main components — social development, economic development and institutional stability. The research was conducted in November/December 2017 commissioned by People In Need (PIN) to gain an understanding of how various approaches have been implemented and which have been most successful. The study covers the urban centres of Kabul, Herat, Mazar-e Sharif, and Jalalabad where the SHG concept has been rolled out by PIN or other relevant actors.